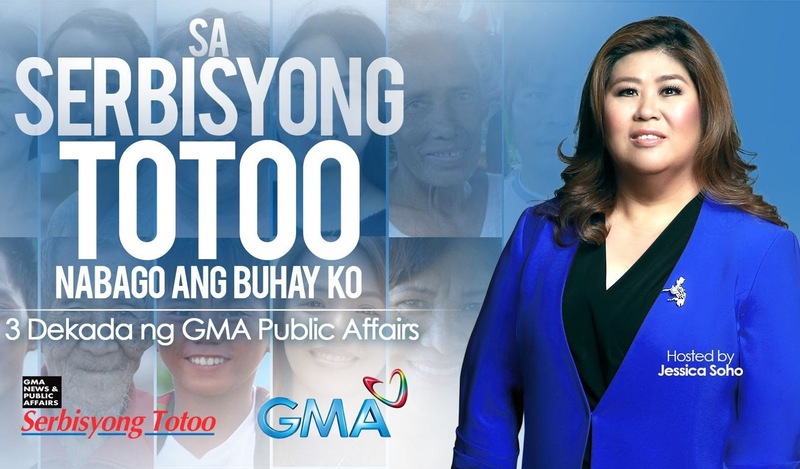 On Sunday (June 25), three decades after it pioneered documentary, news magazine, and public service programs in the Philippines, GMA Public Affairs looks back on some of its most unforgettable reports to discover the positive transformations these helped bring about in “Sa Serbisyong Totoo, Nabago Ang Buhay Ko”. After four George Foster Peabody Awards, eleven (11) New York Festival Gold Medals and three (3) Emmy nominations, GMA Network remains the most internationally-awarded in Philippine Television through its News and Public Affairs programs. In 2013, GMA News TV’s Reel Time told the heart-wrenching story of 10-year-old Mary Rose in the documentary “Salat”. Never knowing when the next meal would come, Mary Rose and her siblings were severely malnourished. Bringing family members together has also been an advocacy of public service program Imbestigador which has facilitated countless rescues of trafficked women and children, including those from Sabah, Malaysia. After four George Foster Peabody Awards, eleven (11) New York Festival Gold Medals and three (3) Emmy nominations, GMA Network remains the most internationally-awarded in Philippine Television through its News and Public Affairs programs. More than any accolade, however, the stories of those whose lives have been changed by public service programming remain the greatest reward.